Vocal Warm-Up Along with me! 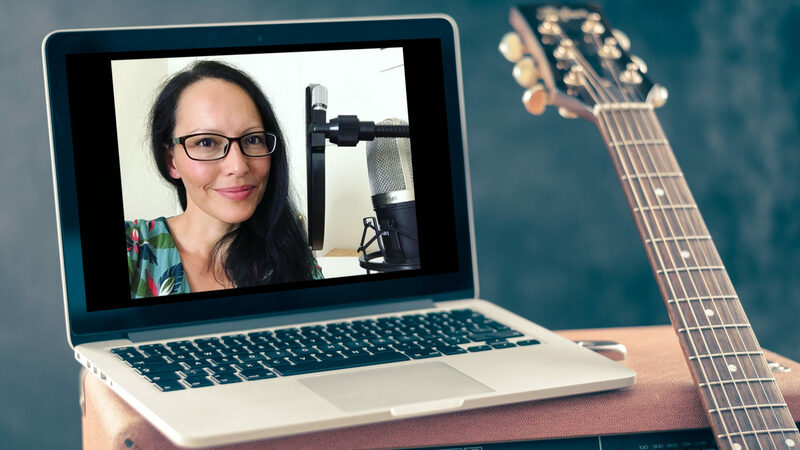 Follow me in this video as I’m getting my voice warmed up before rehearsing a song. Last week, I had a “very” high pitched song to record for a producer’s demo. When I say very high, I mean high for my vocal range. I’m a mezzo soprano, my mediums have a rich and full color, my mixed/belting voice is clear and not too thin as well but my head voice is the weakest. It is a fact but I also know that if I spend a few days “waking up my head voice” with the right vocal warm-up, exercises and songs, it becomes quite good: clear, full. And without me having to use too much energy and over singing or straining my vocal chords! Especially if you’re a girl (mezzo, soprano), you can warm-up with me with the video. But,whatever range you are, what you should do is to listen and take what’s good for you from my warm-up. Have you noticed how I start my warm-up? When I stop and why? What I repeat more? What I’m looking for? When you need to prepare a song that you really want to nail (audition, professional recording session…), you should always ADJUST your vocal warm-up. Is it morning? Have you already been talking to someone? Have you already used your voice? Is your body warm or do you feel cold? Depending on all those things, you may need a shorter or a longer warm-up. How do you feel? Have you been singing too much yesterday? Is your voice tired? Or the opposite, maybe you feel very good and your voice is at its best…? Depending on that, you may need to adjust the warm-up like take it very slowly. So, in this video, it’s a specific warm-up (my upper range) because the song I had to record was in my head voice. Not the whole song but all the chorus and it was more than just a single note in a phrase. In the video, sometimes I stop because either I’m not feeling comfy singing a note or I’m pitchy (flat most of the time). The only thing to do is to GO BACK, SING AGAIN, UNTIL WE’VE REACHED THAT EASE AND THAT PITCH. Yes, we can stay quite a bit on just a couple of notes but it’s notes we know we can sing. We just need to train, repeat, go back, repeat. This is a warm-up and this is how, we, singers, take care of our voices and of our performances. Sing safe and sound Guys!